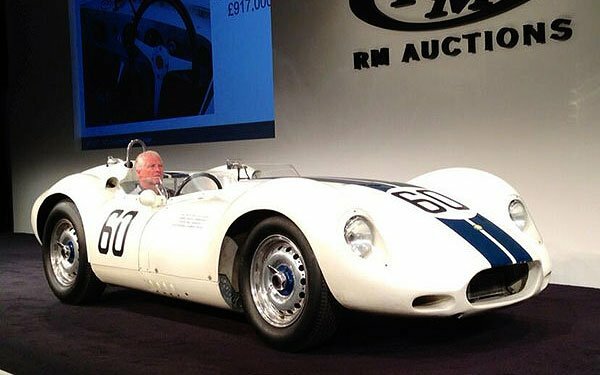 Some of the top cars in the world are sold at the much heralded RM Auction here in Monterey, California. 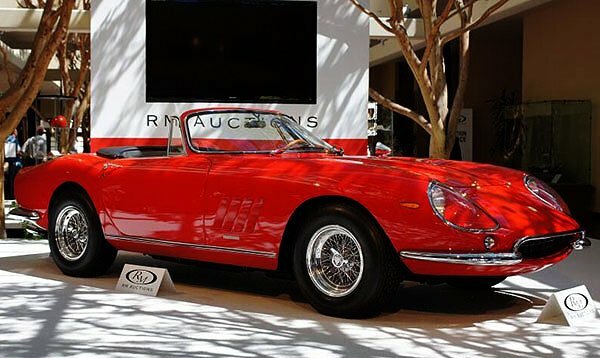 One of the rarest cars to be sold here at the RM Auction was a 1967 Ferrari 275 NART Spider when it crossed the block at $25 million. This sale set a record for Ferrari sports cars. 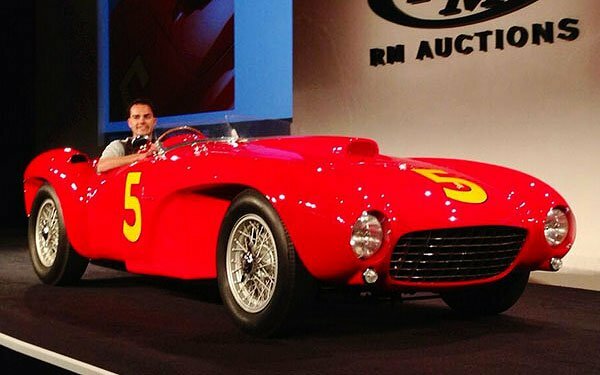 There were only ten of these NART cars built by Ferrari. One was owned by the late actor Steve McQueen, but he crashed the car and it was lost. McQueen tried to buy this one but the owner declined. The family donated all the proceeds of the sale to charity. 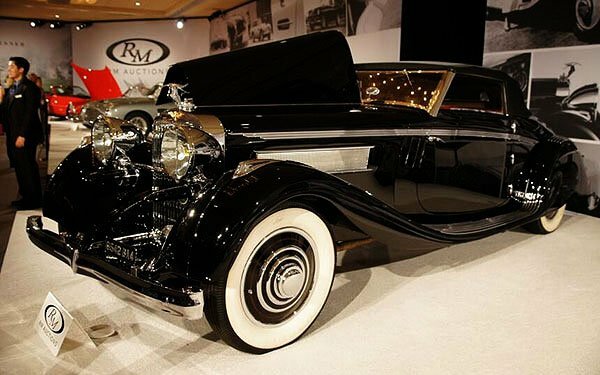 A gorgeous 1935 Hispano Suiza K6 Cabriolet was sold for $2,050,000. Rolls-Royce motorcars are highly valued here during Concours week. 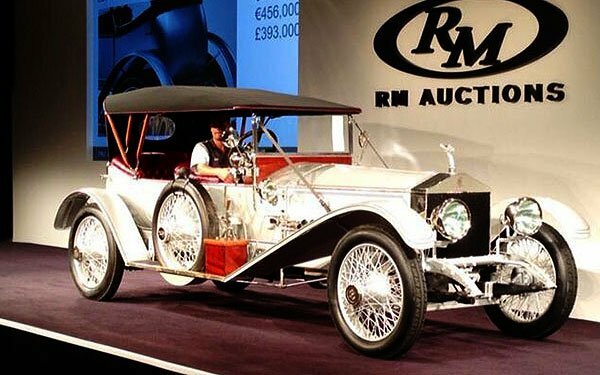 This 1915 Rolls-Royce Silver Ghost sold for $600,000 at the RM Auction on Friday. 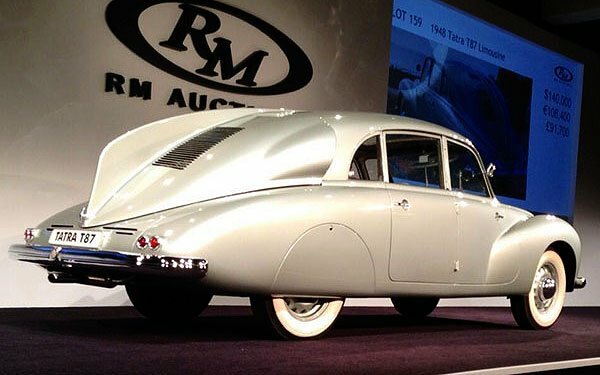 The 1948 Tatra T48 Limousine which we showed you yesterday sold for $225,000 at the RM Auction in Monterey. 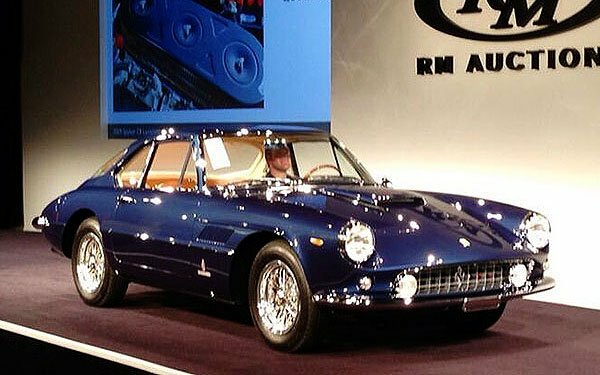 The opening bid on this 1961 Ferrari 400 Superamerica SWB Coupe was $1 million. It eventually sold for $2,500,000. We saw this 1958 Lister Jaguar yesterday in the display outside the Portola Hotel where they are holding the RM Auction. Today we watched as it was sold on the auction stage for $1.8 million dollars.